Well it's about darn time. 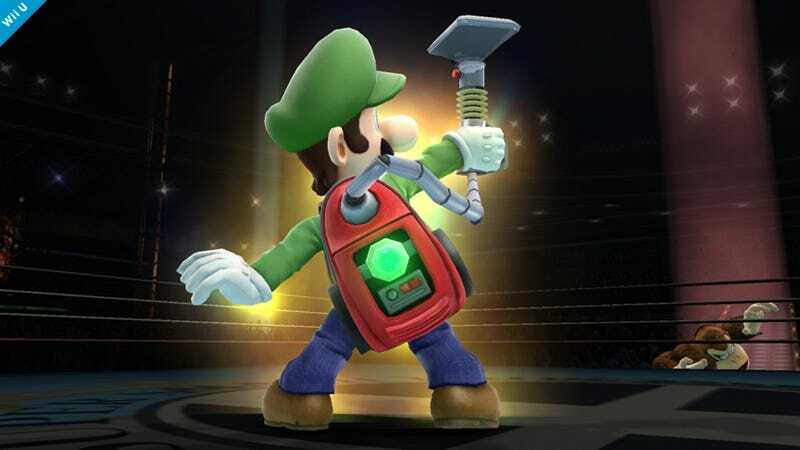 Though I was hoping Luigi would be using his trusty vacuum in his standard move-set I can totally settle for the Poltergust 5000 only being used as a final smash. How will it be used? Here's my guess - Luigi will run around, vacuuming up opposing characters and shooting them into oblivion until time runs out. I can't really think of how else they would incorporate it, but only time will tell.